Where I got it: Iona from Moeke sent me a few sample colors. My Thoughts: This was fun and different to knit with. It feel rough to the touch, but it's also got a lot of lanolin left in it, so it gives a buttery sensation too. It reminded me a little of knitting with Lettelopi, though it's a lot denser. It bloomed and flattened nicely with washing and makes a sturdy, rustic fabric. 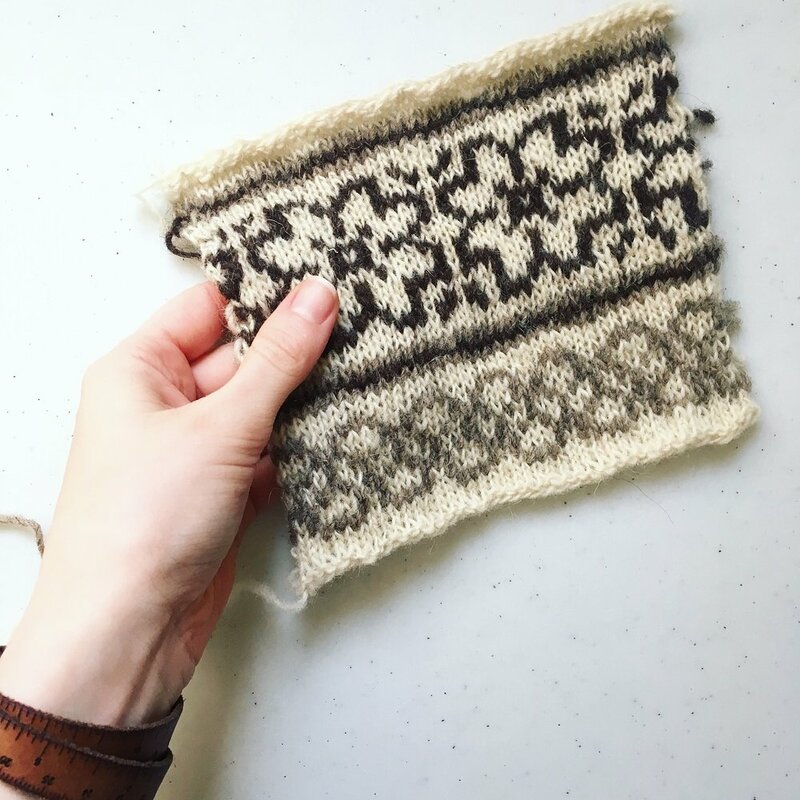 I noticed a tiny bit of bias in my Stockinette swatch, which I think is just a result of the construction - by nature singles can't be balanced. But I also knit a colorwork swatch with it and didn't notice the skew on that swatch. I'll add the colorwork swatch images once the swatch is dry. What I might design with it: This seems just right for a hearty, long-lasting vest. I'd like to design with colorwork - some kind of traditionally-inspired thing with those lovely natural colors. Where you can get some: Moeke has a list of stockists on their website and Tolt has it listed on their website, though it looks like it's currently sold out. 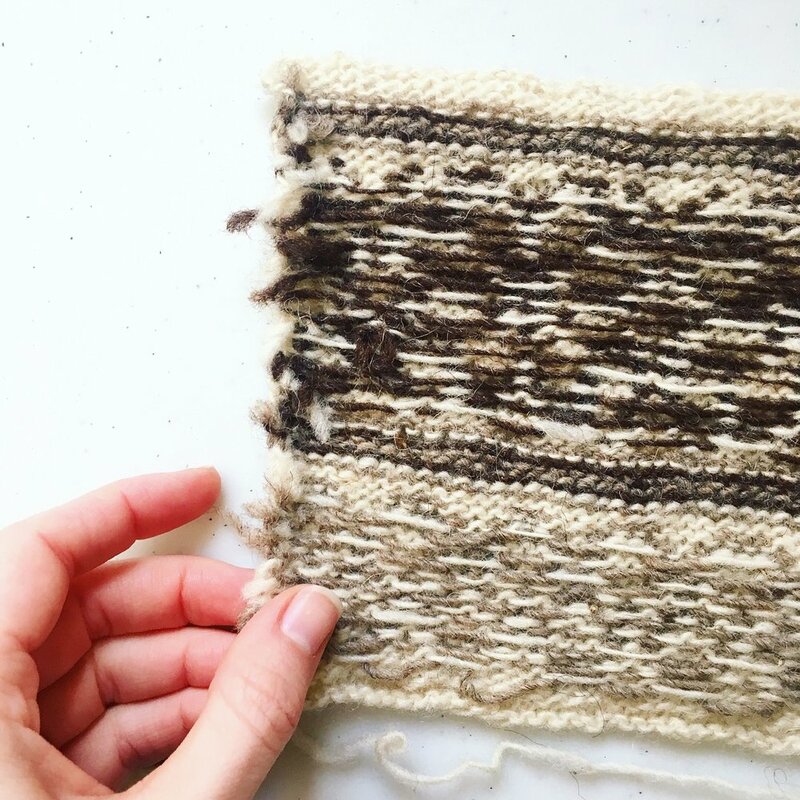 I knit a couple swatches in this yarn to see how it would work in plain Stockinette and in colorwork. The colorwork motifs are from AlterKnit Stitch Dictionary - Links (bottom), Mustard (top). The videos are (left to right) the plain St stitch swatch, me cutting my un-blocked colorwork swatch, and the resulting blocked colorwork swatch.